Schmidt leaves after 17 years at Google parent company, saying it is time for a "transition". 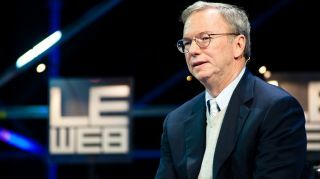 Google's parent company Alphabet has confirmed that Eric Schmidt will be leaving his position as executive chairman. During his 17 years at the company, Schmidt oversaw Google's rise from a simple start-up to one of the biggest and most influential companies in the world, and Schmidt has had a huge role in that happening. Schmidt was chief executive from 2001 to 2011, after which he assumed the role of an executive chairman. Reuters says he’s done a lot about negotiating regulations with governments and speaking about the tech industry.